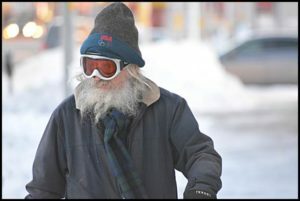 During this bitter cold spell, the city is opening its doors for those without heat at home, or who are homeless, or just suddenly cold. Hamtramck City Hall is closed Wednesday, but anyone needing to warm up is invited to stay as long as they like in the first floor of the building. City Hall is located between Evaline and Yemans streets, just west of Conant. When you go inside, check in with the police department, which is just to the left after you enter the building. Police officers will be monitoring the first floor. Also, the Hamtramck Senior Plaza, located on Holbrook, just west of Jos. Campau, is a warming center. Local departments of the State of Michigan, including the Secretary of State office and the Department of Human Services, will be closed Wednesday and possibly Thursday. The Hamtramck Public School District has also canceled classes for Wednesday. Temperatures are expected to dip to a low of minus 2-degrees on Wednesday with a wind chill temp of minus 30-something degrees. Thursday is also expected to have extreme cold temperatures. The arctic blast is due to a polar vortex, which is cold air that is normally trapped in the North Pole region that suddenly flows southward. This cold blast is setting record lows nationwide. Especially hard hit is the Midwest, the South and the East Coast. According to former Hamtramck resident, Al Ulman, Jr., who now lives in Hawaii – who also goes by the stage name of “Al the Only” (he is a magician) – it’s a chilly 72 degrees there. He said on his Facebook page that because there was a “cool wind” (and it was also “cloudy”) he had to put on “slacks and a sweater.” Al lives on Maui, just so you know the amount of suffering he is experiencing. Thank you for being done with swearing at me. LOL In my defense, when one has lived in the tropics for 19 years the blood really thins out. 70 Degrees is a cold day for us, and when the temps went down to 66 over here, kids were going to school in heavy jackets. I know that doesn’t compare to subzero temps so please stay warm, bring your cats and dogs into the heat, check in on your elderly neighbors and if need be, visit your local watering hole and warm up a little, inside and out. Ah, Al, how can we be mad at you!! My thermometer says -15 degrees F right now.